Visual Studio Code>Themes>Pop ThemeNew to Visual Studio Code? Get it now. 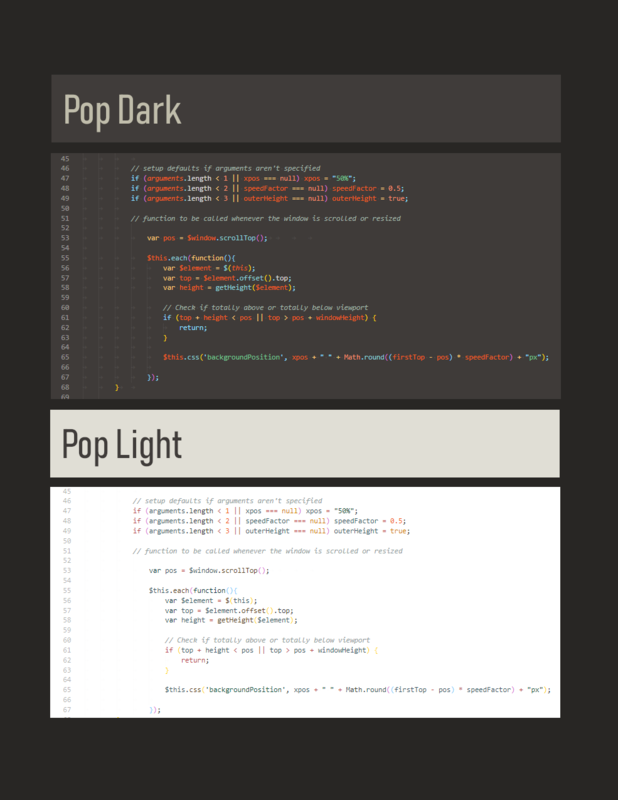 A VSCode theme based on the design language of @System76's Pop! Theme. This theme is based on the design language created and maintained by System76 for their Pop!_OS and themes. I am not affiliated in any way other than being a big fan.